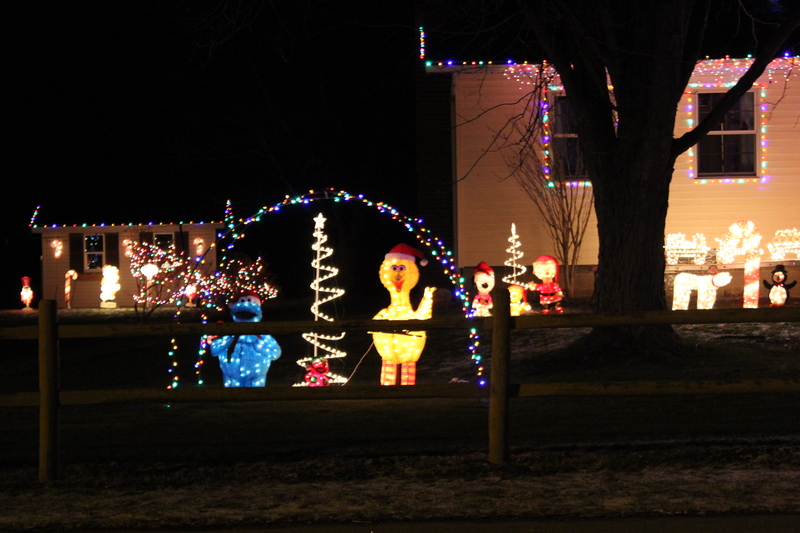 Alden’s 22nd “Christmas in the Park” will be held Saturday afternoon, December 5th. This annual fun, free, diverse event is sponsored by the Alden Chamber of Commerce and the Town of Alden Recreation Department, along with a host of local businesses and community organizations. A Holiday Marketplace featuring gourmet foods, wine tasting and crafts will occupy the American Legion Hall at 13143 Broadway (right across from the Bandstand) from noon until 4:30 pm. Throughout the afternoon, several groups will offer snacks and beverages around the Bandstand area. Carolers in period costume will stroll in the Village. There will be mascots, kids’ crafts and other activities, pony rides and horse-drawn wagon rides, a Living Nativity at ACTS and much more. The Alden Historical Society will be open from 10 am–3 pm. Many businesses will host open houses from 1:00– 5:00 pm with refreshments and some discount prices. There will be kid-friendly games and Santa will be present for pictures near the Bandstand. Local non-profit organization Christmas Trees around the Bandstand will be lighted and judged at 5:00 pm. The festivities go on snow or shine. 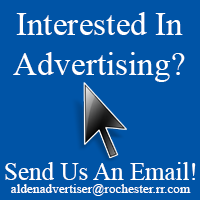 If you are interested in sponsorship call the Alden Chamber office at 937-6177 for more information. More details will follow closer to the event. 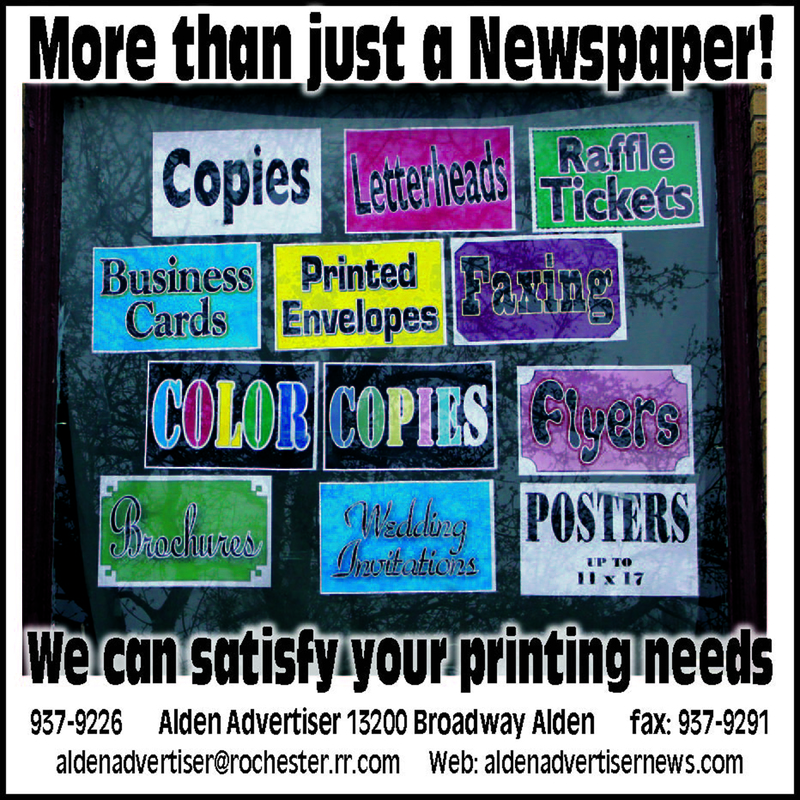 Check www.aldenny.org or call the Alden Chamber office at 937-6177 for more information.